LED strip with individually addressable LEDs from Aqua Computer matching the RGBpx system. An Aqua Computer control unit with RGBpx output and an RGBpx connection cable are required to operate the LED strip (not included). At the end of the Strip there is a connector for connecting another RGBpx component. Four magnets are integrated into the strip for easy mounting of the strip, and the back of the strip is additionally self-adhesive coated. 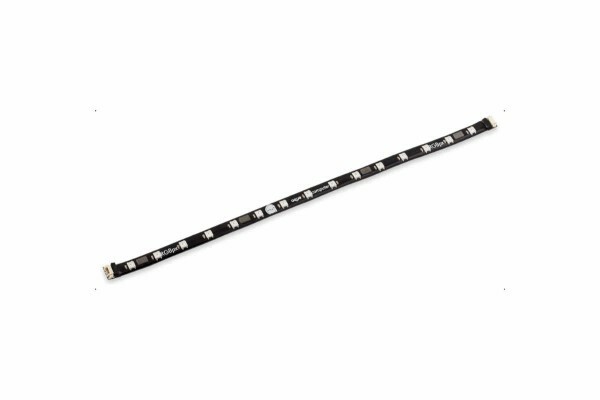 The strip can be shortened/cut after each LED, in this case no further strip can be connected.